More than 600,000 people signed up for Obamacare in the first four days of open enrollment, far outpacing last year's rate. Nearly a quarter were enrolling for the first time, while the rest renewed coverage, according to statistics released Thursday by the Trump administration. The period covers Nov. 1 through Nov. 4. The data provides the first look at how Obamacare will fare under an administration determined to dismantle the health reform law. While Trump officials are maintaining the federal exchange, healthcare.gov, they have slashed open enrollment advertising and support. Also, consumers will have only six weeks to sign up for coverage on the federal exchange, rather than the three months or more they had in previous years. Affordable Care Act supporters were quick to jump on the data, noting that the average daily pace was nearly double that of last year's. 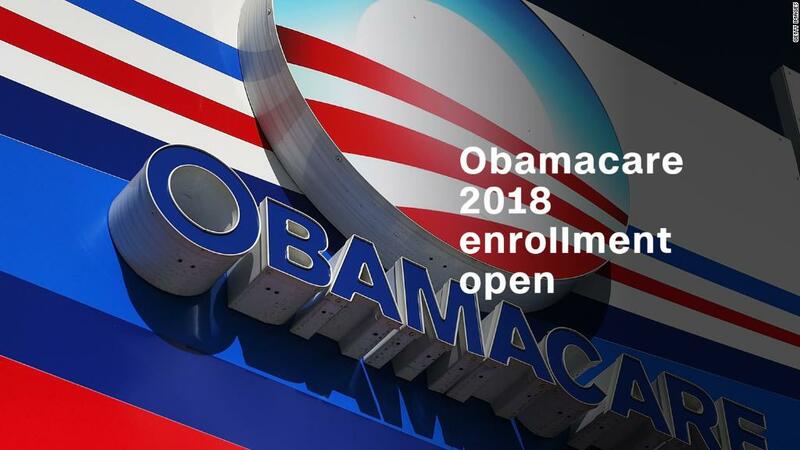 "This is a great start to open enrollment and is further evidence that people want health insurance and that they're finding coverage they can afford," said Lori Lodes, a former Obama official and co-founder of Get America Covered, which is aiming to boost sign ups. Some states that run their own exchanges are also reporting brisk business. They are heavily promoting enrollment, running ads and providing assistance to those who want to sign up. Many have extended the enrollment deadline beyond Dec. 15. More than 14,000 Maryland residents picked plans in the first eight days, more than twice as many as last year. The Maryland Health Connection website, which usually closes at 11 p.m., had to stay open an hour later on the first day of open enrollment because 300 people were still online. In Washington, the number of new enrollees jumped by more than 50% in the first week, while visits to the state's exchange rose 24%, as compared to a year ago. "We are very pleased to see this level of interest so early in open enrollment," said Pam MacEwan, CEO of the Washington Health Benefit Exchange. Connecticut's marketplace saw a 15% increase in volume for both its website and call center on its first day, compared to last year. Michael Mashoney, 55, was concerned about signing up for coverage this year because of all of the uncertainty surrounding the health reform law. A self-employed consultant from The Woodlands, Texas, Mashoney was uninsured before the Obamacare exchanges debuted in 2014. But he was happy to see that his carrier, Community Health Choice, is returning for 2018. Though he doesn't qualify for subsidies and his premium is going up about $200 a month, he likes knowing he has a safety net. "If I get really, really sick and I have to go to the hospital, at least I'm not going bankrupt," said Mashoney, noting that Obamacare limits how much he has to pay out-of-pocket for care. "Those things are very important to me." Strong initial sign-ups, however, don't necessarily result in record enrollment. Last year, many consumers rushed to pick policies in November and December, particularly after President Trump was elected. Shopping for coverage for 2018 is more important than ever. Premiums for the benchmark silver Obamacare plan will soar 37%, on average. But eight in 10 consumers will be able to find policies for $75 or less. That's because the price spike means many enrollees will receive more generous premium subsidies, and some may be able to afford gold policies with lower deductibles or find bronze plans with no premiums. Still, the rate increase will hit some in the middle class since they don't qualify for premium subsidies. Several have written to CNNMoney to say that their premiums are skyrocketing for next year. Mary and Reed Christensen are bracing for a sharp spike in premiums. They will have to pay $2,300 a month for an Obamacare policy next year, up from $1,522 now. The Blair, Nebraska, couple are meeting their insurance agent on Friday, but they don't have many choices -- their current insurer, Aetna, dropped out of the market so Medica is the only option. Mary Christensen, 60, would rather go back to the days before Obamacare, when they paid $557 a month for coverage that fit their needs. They rarely go to the doctor and bristle at the idea that they have to buy a policy that covers pediatric dental benefits, even though their daughters are grown. The high premiums have forced them to dip into their retirement savings and forgo purchasing things they need. "We won't be contributing to the economy because we are going broke paying our health insurance," said Christensen, a substitute teacher who also grows vegetables and flowers to sell at a farmer's market. But "there is that one ounce of doubt that we may need it for a huge medical expense next year -- you never know." Are you shopping for Obamacare coverage for 2018? What has your experience been? Tell us about it at healthcarestories@cnn.com and you could be featured in a CNNMoney story.